An architect's dream, the West Village is home to early 19th century town homes and cobblestone streets. History unfolds many influential anti-establishment protest and marches. West Village is known for its strong diversity and its willingness to promote tolerance and embodiment of all. West Village boundaries are at Houston Street to 14th Street and Sixth Street to the Hudson River. There are 6 train stations and real estate is some of the most expensive in all of the United States. Later in 2016 the AIDS Memorial is scheduled to finish construction on a state of the art remembrance coalition of individuals and organizations dedicated to the recognition and preservation of the ongoing history of the AIDS Crisis. The neighborhood driven campaign for the memorial at the former site of the St Vincent's Hospital took shape in early 2011 following the announcement of the closure and subsequent redevelopment plans. The website for the effort is visitor friendly and you are able to make any kind of donation to this grassroots organization. The restaurant scene is fierce with diversity. 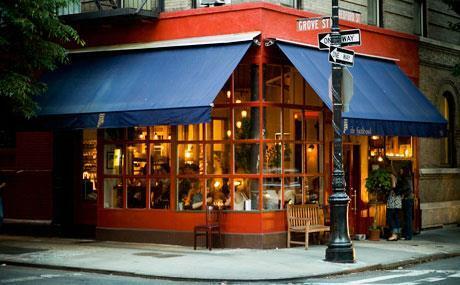 From the cozy french bistro on 12th Street to the perfect gravy and meatball sliders on Bedford Street you cant go wrong! And so what if the streets are a little cockeyed, right around the corner could be your new favorite cafe. Lots of famous inhabitants call West Village there home, such as Will Ferrell, Seth Myers, and Julianne Moore.